Ready to hunt high value Nazi targets in Wolfenstein 2’s Uberkommandant missions? 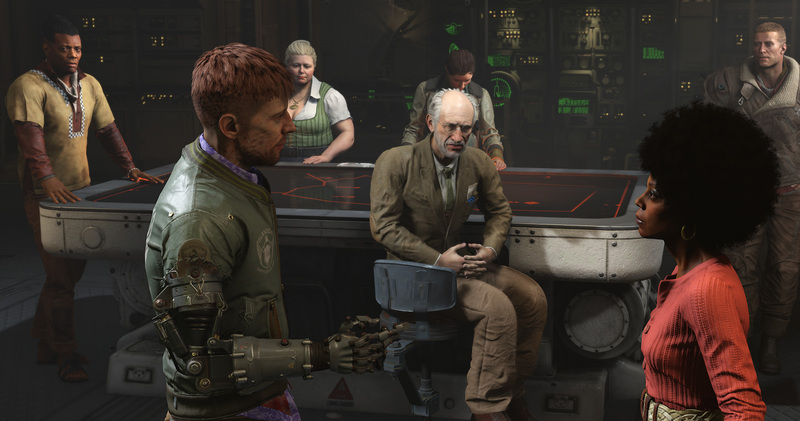 In Wolfenstein 2: The New Colossus, the main story missions are only part of the battle. You see, as you play the game, special missions called Uberkommandant missions become available. These allow you to hunt and kill high ranking Nazi officials. First, though, you need to unlock them. As you play the game you’ll come across a Kommandant or two in most of the areas that you visit. These are officers that can call for reinforcements if they detect you. It’s advised that you use stealth to kill the Kommandant in each area to keep them from raising the alarm, but also for another reason. Each Kommandant that you kill will drop an Enigma Code or two that you’ll have to pick up off their body. These Enigma Codes can be collected to unlock some of the game’s Perks, but they have a much more valuable purpose for the player that really enjoys killing Nazis. The Enigma Codes can be used on something called the Enigma Machine to unlock the Uberkommandant missions. Unfortunately, the Enigma Machine isn’t unlocked until after you return to Manhattan to recover the New Orleans Dossier during the mission titled A New Suit. Once you’re back on the Evas Hammer, visit the Command Center outside of Grace’s quarters. It’s there that you’ll find the Enigma Machine and can begin using it. Each Uberkommandant Mission requires a certain number of Enigma Codes. Some are worth more than others. Once you have selected the mission you wish to complete and paid the Enigma Code cost, you’ll have to complete a timed mini-game. If you’re successful you’ll unlock the Uberkommandant Mission, but if you mess up you lose those Enigma Codes and must try again. Make sure you know how to use the Enigma Machine so you don’t waste Enigma Codes. Since Enigma Codes are gained by killing Kommandants, you’d be wise to kill all the Kommandants that you come across during the Wolfenstein 2: The New Colossus campaign. There are a total of 16 of the Uberkommandant Missions, so that’s a lot of Kommandant killing. Better get to it. To keep your Nazi killing game sharp, be sure to visit the Shacknews Wolfenstein 2: The New Colossus walkthrough and guide.